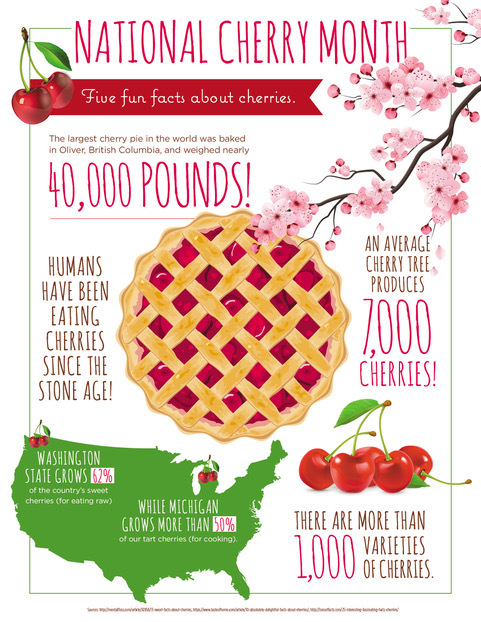 5 Fun Facts About Cherries for National Cherry Month! Did you know that February is National Cherry Month? Here are some fun facts about this delicious fruit!